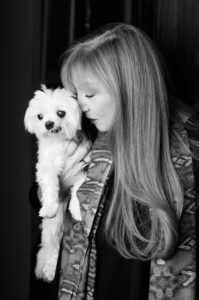 NYT bestselling author, M. J. Rose crafts a dazzling Jazz Age jewel–a novel of ambition, betrayal, and passion with TIFFANY BLUES. 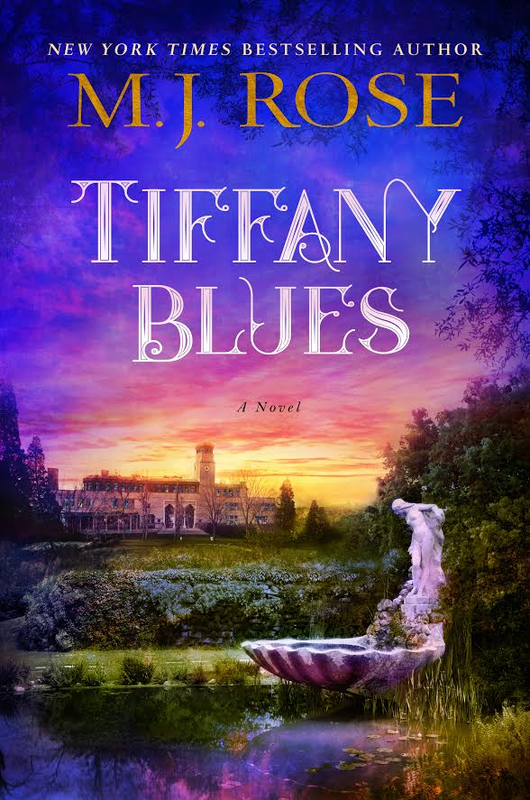 TIFFANY BLUES is now available! Check out the tour below, and pick up your copy of TIFFANY BLUES today! 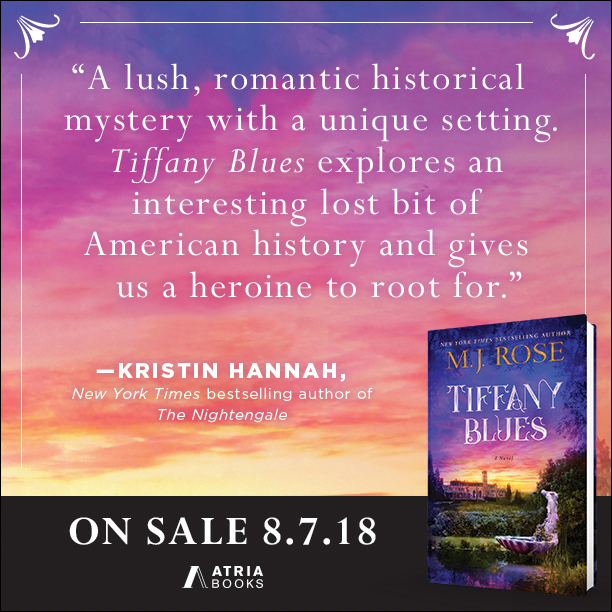 Grab your copy of TIFFANY BLUES here! I love this author’s beautiful writing! The pictures she paints with her words are stunning and simply marvelous. The world created in this vibrant tale of talented artists, young lovers, horrific tragedy and a time of yesteryear is like none other. I love the factual history of Tiffany and his estate for artists. This held a special interest for me since I once created stained glass art and emulate Tiffany’s exceptional techniques for my works. Her vivid descriptions of the sublime Tiffany culture, the estate and the group of artists ensconced there in the 1920’s are superb. The characters are wonderfully layered and uniquely different, each with their own story amidst the camaraderie, romance and secrets. The heroine, Jenny, is harboring a secret that could be life altering if exposed. Her story is revealed in a flip between the past and present. As it unfolds, Oliver is there to support her and his love for her is wonderful. If only the young lovers could withstand the drama and intrigue . Exceptional storytelling with elements of darkness, danger and mystery that flash with the creativity of the characters leaves me supremely satisfied as a reader. Just fabulous! Five star and more. NextNEW!!! SCAR: A Dark Military Romance by Loki Renard is available now + FREE in Kindle Unlimited!! !